Bungie, Activision and AKQA are aiming to capitalise on the potential of voice for interactive gaming with an Alexa skill to accompany video game Destiny 2. The skill takes on the persona of a Ghost, a levitating artificial intelligence used by Guardians, the protagonists in the game. Designed by AKQA, the skill is available to all Alexa customers in the US and the UK. It is designed to serve as a companion for players and creates a new way to interact with the game. Players can use the skill for recommendations for what to play next based on users’ real-time progress, to interact with friends, and for equipping players’ favourite gear for a number of different gameplay activities. 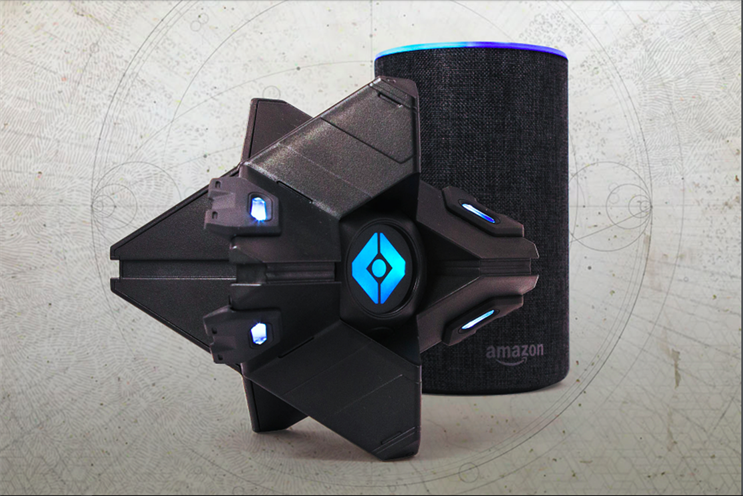 "Players want to immerse themselves in our games and, with the Destiny 2 Ghost skill, now they can actually talk to their Ghost through Alexa," Tim Ellis, chief marketing officer of Activision, said. "The skill delivers on the promise of voice as a natural and intuitive medium that redefines the interactions that are possible with players. We’re excited to see how players use the skill and apply these learnings to explore new gameplay experiences." While the skill works on any Alexa enabled device, the game manufacturers have also put out a limited edition speaker in the shape of a Ghost. However, the speaker does not function as an Alexa device and will require a separate Alexa device to work. "The Destiny 2 Ghost skill creates a more seamless experience for gamers and shows the power of integrating intelligent voice controls into video games in a thoughtful and useful way," AKQA managing director Simon Jefferson said. "The final experience is the result of an incredibly close collaboration between Bungie, Activision, and AKQA and is something we’re all tremendously proud of."